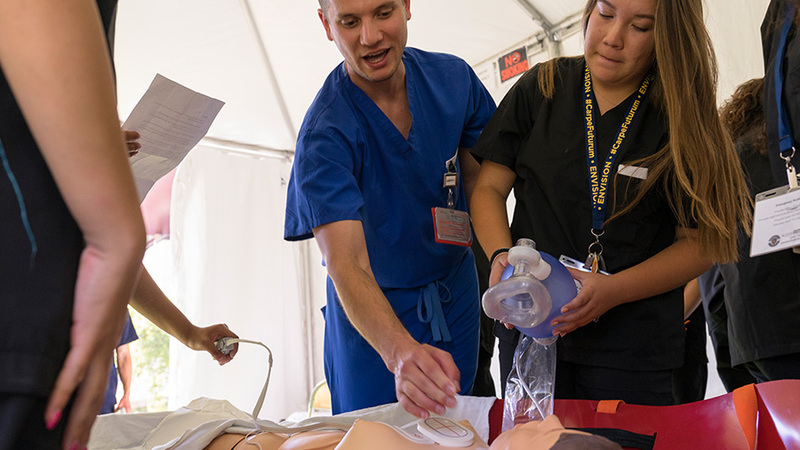 Advanced Emergency Medicine, in collaboration with Stanford Medicine, is an unprecedented opportunity to spend 10 days with the staff of the Stanford University Department of Emergency Medicine, gaining invaluable hands-on experience in a real-world medical environment. Are you ready for the intensity of medical school and emergency medicine? From life-saving ER medical procedures, to disaster and wilderness medicine, to dissected human cadavers, this is your chance to test your skills under pressure, guided by the faculty of Stanford University's School of Medicine, one of the most highly ranked universities in the world! Life-saving techniques, as performed in Emergency Rooms and in the field. 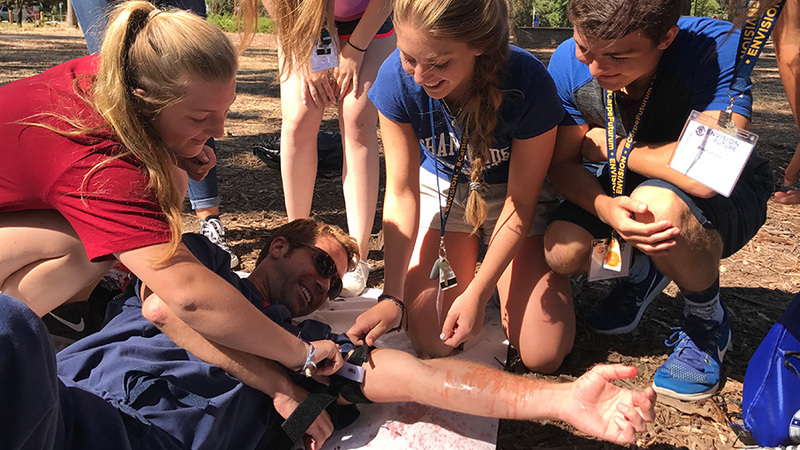 Hands-on workshops and simulations teach you to master skills such as triage, suturing, splinting, trauma management, ultrasound, and the ABCDE approach to assessing illness and injury. How to prepare yourself for a future of excellence, tackling challenges such as medical school and a successful and rewarding career in medicine. While acquiring professional skills like networking and personal branding, you will also explore your many specialty options within the field. Wilderness medicine during a wilderness hike, where you’ll manage a true-to-life outdoor disaster scenario, and administer treatment for patient issues such as: altitude sickness, broken bones, lacerations, exposure to heat and cold, and potentially fatal snake and insect bites. Where your strengths and passions lie as you assess your own reactions to simulated life and death scenarios. How to utilize advanced, life-saving technology such as ultrasound, to quickly and noninvasively identify critical patient issues during trauma and emergency situations. 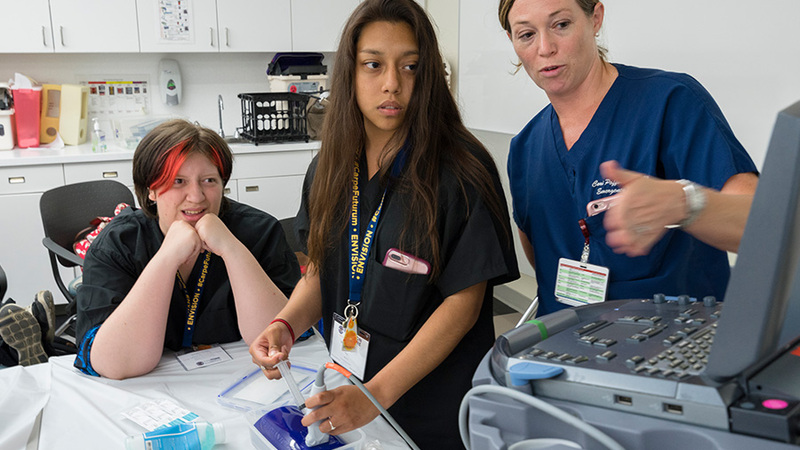 Working directly with your peers, you will alternate between stepping into the role of a simulated doctor or patient, while using the ultrasound technology firsthand to examine your "patient's" anatomy and then alternatively, be examined yourself. All the critical elements of Basic Life Support, as you earn your BLS certification from the American Heart Association, the authority on resuscitation science. Life at Stanford University School of Medicine – You will live and study on campus at Stanford University, receiving unparalleled instruction from Stanford faculty, ranked among the highest in the world. If your goal is to be the best, this is the place to be. Code Black – Reaction time can mean the difference between life and death in emergency situations, and emergency physicians need to be ready for anything, at any time. Evaluate your performance under pressure as you meet the challenge of our true-to-life crisis simulations. The Rite of Passage for Future Doctors – Stanford Medicine's anatomy lab, in which you will witness the human body from an incomparable perspective, uncovering internal musculoskeletal systems and organs in dissected human cadavers, made available by the bodies of individuals who donated themselves to science. 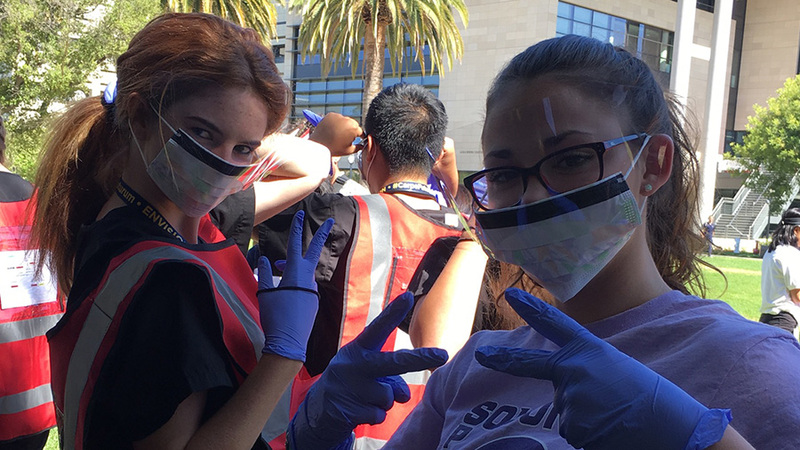 Disaster Medicine – Explore this harrowing and highly rewarding field through a combination of discussions, demonstrations, and an outdoor group disaster simulation that includes disaster medical treatment and triage. Over the summer of 2018, I attended envision's Emergency Medicine program at Stanford. Over the course of ten days in this program I learned various medical skills such as suturing, splinting, CPR, toxin control, how to treat allergic reactions etc... I was also able to meet and make friends with kids my age from all over the world. This program greatly increased my confidence in public speaking. This program has given me opportunities I would have never been given by school, or any other summer program. i was even given the opportunity to become an ambassador and continue my learning after I completed the program. Looking at the enrollment forms, it looks expensive and scary to leave home and stay in a new place with people you've never met. However, In my opinion, it's worth the money and your anxiety over being out of your comfort zone will quickly elude you when you walk into the first building for icebreakers. All the staff and students are very friendly and quick to help you in any situation. If you're seeking education about your future career, international friends, and a super fun week, enroll now.